The following steps will explain how to integrate SAP Leonardo Blockchain using Hyperledger Fabric with an SAP Cloud Platform side-by-side extension using the SAP S/4HANA Cloud SDK. 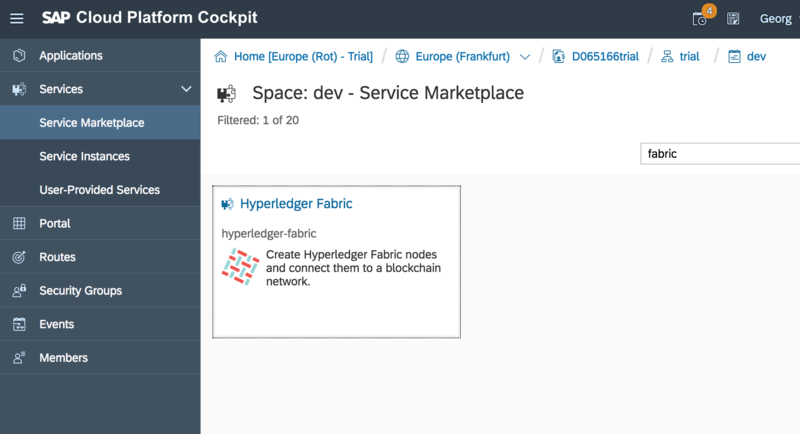 SAP Cloud Platform Blockchain Hyperledger Fabric service is available to customers and on the SAP Cloud Platform trial account. Updated Oct 2018: Using Hyperledger Fabric became even more simple! Newly added FabricService class is the key. See below! Note: This post is part of a series. 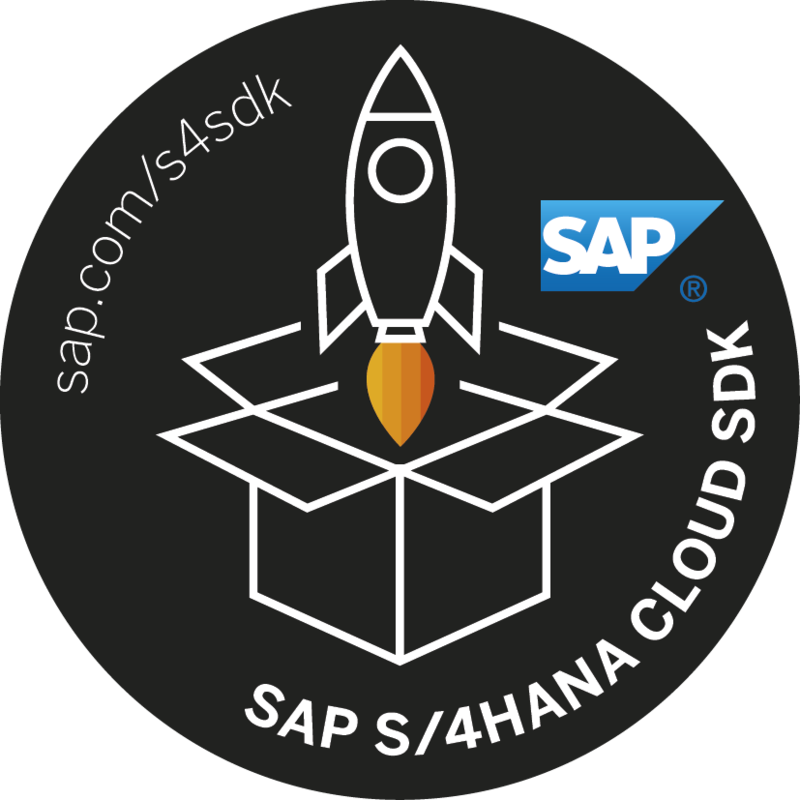 For a complete overview visit the SAP S/4HANA Cloud SDK Overview. Furthermore, an extended version of this blogpost is part of the book Extending SAP S/4HANA. Introduce the concept of SAP Cloud Platform Blockchain and its technology variant Hyperledger Fabric and point out their significance. Build a microservice reading from a Hyperledger Fabric chaincode on SAP Cloud Platform Blockchain. Blockchain is a concept and an architecture based on distributed ledger technology to record and share data across a multi-party network. It integrates data from multiple sources and creates a single, trustful truth. In doing so, it promises to provide powerful advantages for businesses, leading to increased efficiency and simplified processes. Cases such as Blockchain-based pallet management and Farm to Consumer traceability implemented by SAP showcase the potential. Blockchain will change the way we do business – from point to point interaction to a true network of business objects and entities. SAP drives the value-adding Blockchain with products such as SAP Cloud Platform Blockchain, which provides maximum flexibility with the support of multiple advanced blockchain technologies like Hyperledger Fabric and MultiChain. In this article you will learn how to integrate one of those technologies with your S/4HANA side-by-side extension: Hyperledger Fabric. The availability of multiple technologies provides you options to follow and be on top of the continuing development of blockchain technology. The post will help you to set up the technical integration between a S/4HANA side-by-side extension on the SAP Cloud Platform and the SAP Cloud Platform Hyperledger Fabric Blockchain service. The first step will be creating a skeleton side-by-side extension project and deploying it on the SAP Cloud Platform to test the viability of your development environment and create the application’s environment on the SAP Cloud Platform to which blockchain services can be bound. Then required SAP Cloud Platform Blockchain services will be created and bound to the application. A chaincode will then be deployed to a channel service, which is similar to creating an API to a part of the Hyperledger Fabric blockchain. Then finally the access to the chaincode will be added to the Java code of the side-by-side extension. The application host name will be provided by the output on the command line (mine was named: blockchain-fabric-blog-tomee-aidless-solver.cfapps.sap.hana.ondemand.com, making it accessible at http://blockchain-fabric-blog-tomee-aidless-solver.cfapps.sap.hana.ondemand.com/hello ). For this blog post we’ll use the Hyperledger Fabric Node and Channel services of SAP Cloud Platform Blockchain. A node represents a single machine connected to a blockchain network, and a channel is one communications channel on such a network. So a node can host multiple channels. And that’s why we start with the creation of the node, and then setup a channel on the node. Any chaincode we create will be deployed to a channel on SAP Cloud Platform Blockchain. Afterwards we are going to deploy a simple chaincode example on the channel. 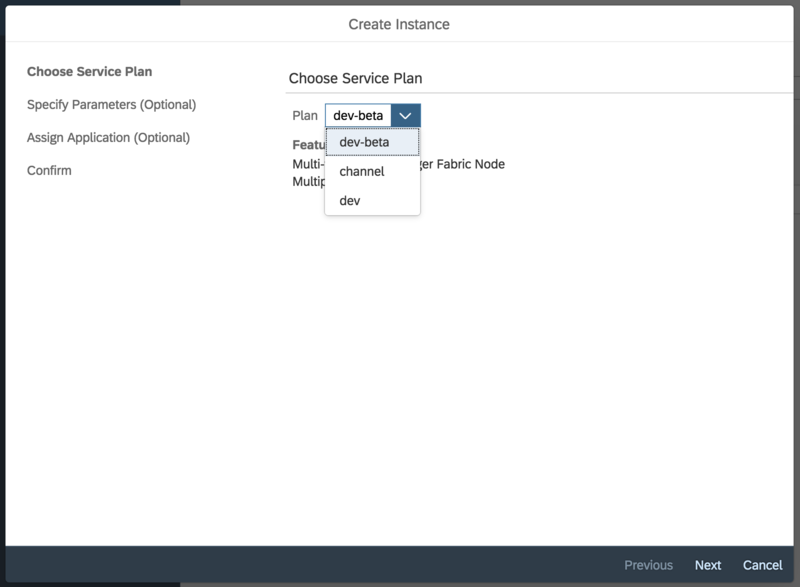 Go to the SAP Cloud Platform Cockpit and find your newly deployed application. Then navigate to the screen for the space your application was created in. Then go to ‘Service Marketplace’ and search for ‘fabric’, compare the screenshot below. You’ll reach the overview screen for the Hyperledger Fabric service. Then go to the ‘Instances’ screen via the menu on the left, and choose ‘New Instance’. If your organization or your trial account don’t have quota to use the Hyperledger Fabric service, please contact SAP support or your internal SAP Cloud Platform account responsible to increase the quota to your global account and setup the required entitlements for the SAP Cloud Platform sub account you are using. Be also aware that you can reuse one node for different channels – so you don’t have to setup new node services for every trial you are running. Select the Hyperledger Fabric service and continue with ‘Next’. Then on the next screen select the ‘node’, ‘dev’, or ‘dev-beta’ plan, and continue with ‘Next’. For a test ‘dev’ and ‘dev-beta’ should prove the correct choice as they provide cheap, or even free-of-charge, development environments. Now you might run into trouble of quota and/or entitlements are not sufficient. Please contact SAP support or your internal SAP Cloud Platform account responsible. For this trial you don’t need any parameters, so you can jump the next screen with ‘Next’ and not bind this service to any application. The channel service we’ll create afterwards gets bound to an application – this service actually cannot be bound to an application. The you end up on the summary page. Choose a service name and hit ‘Finish’. After the channel service creation the button will morph to a button providing access to the channel dashboard. You can see testchannel4 in the above screenshot sporting that dashboard button already. You might have to reload the channels listing to make the button appear. 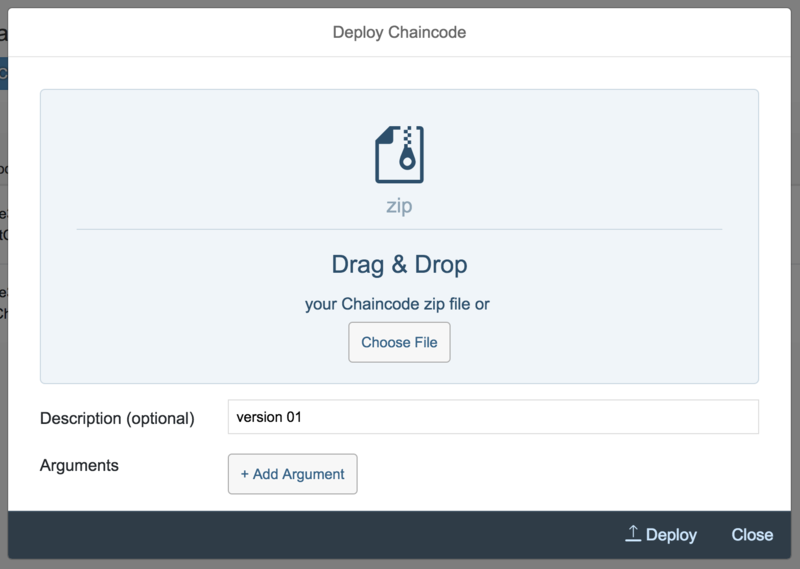 Now you are ready to deploy chaincode to the channel. Let’s have a look at a chaincode example now. This is a fast-paced overview that gets you running in no time – but it is not a complete introduction into the topic of chaincode development. Please see here for the documentation on chaincode development on SAP Cloud Platform Blockchain. The chaincode sample is a very straightforward proof-of-existence scenario. The scenario is even too straightforward in that it doesn’t report the first time a value was written to the chain – fixing that is left as an exercise to the reader. The two methods store and readSingle provide the possibility to add string information to the chain and to verify that a specific string has been written to the chain. SAP Cloud Platform Blockchain facilitates deployment of chaincode to a Hyperledger Fabric node considerably. The platform handles compilation, version upgrade, and provides a testing frontend. For this to work the chaincode is packaged in a zip, complete with a bit of meta-information. The package and content with our sample chaincode are made available for your convenience. Download the simple chaincode example zip here ( https://sap-my.sharepoint.com/:f:/p/georg_koester/EuwR5AyRaatAjHeWj4XxxJQBF61N35GldeC1BAjInvzN4w?e=3Q2NQn ) . Now open the channel dashboard via the node dashboard. 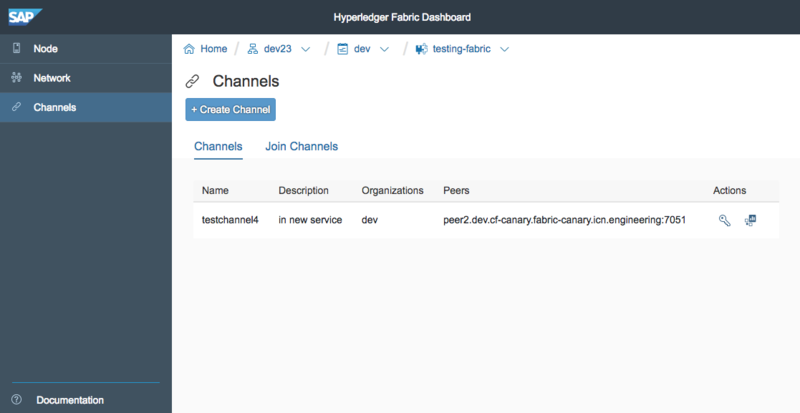 The testing UI available via the button is explained the SAP Cloud Platform Hyperledger Fabric documentation: Testing the Chaincode. It is dependent on an OpenAPI spec file (there is an example in the subdirectory of the provided ZIP). Please remember the displayed Chaincode ID – you will need to make it available to the application in its environment later. Finally, go to the application screen in SAP Cloud Platform Cockpit, then the ‘Service Bindings’ screen, select ‘New Binding’ and add the existing Hyperledger Fabric channel service to your application. The application should exist if you followed this deep dive. If you don’t have an existing application go back to step ‘Creating the side-by-side extension’. Now your SAP Cloud Platform Hyperledger Fabric setup is ready for integration with your SAP S/4HANA side-by-side extension using SAP S/4HANA Cloud SDK! # VCAP_SERVICES needs mocking too if you test locally. cf set-env <your app name> SIMPLE_CHAINCODE_ID "<chaincode id from chaincode deployment above>"
The application host name will be provided by the output on the command line (mine was named:blockchain-fabric-blog-tomee-aidless-solver.cfapps.sap.hana.ondemand.com, making it accessible at http://blockchain-fabric-prototyping-blog-tomee-aidless-solver.cfapps.sap.hana.ondemand.com/fabric_simple?value=testvalue – SAP-internal URL, not accessible outside ). Write a value with ?value=somevalue&write=true . This blog post has given you an introduction to starting your own blockchain integration project with SAP Cloud Platform, and the environment facilitates connecting with SAP S/4HANA easily. I am very keen to see what you will be doing with these powerful tools! Thank you for your posting.It is very useful for SCP on BaaS. Is it possible that trial account can access Hyperledger Fabric by requesting SAP Support ? How can I contact to SAP Support If I have trial account ? I am requesting more the details on this. btw, i saw Georg presenting about blockchain at TechEd last year and he was very enthusiastic about the topic, but some decisions to open it up to the wide ecosystem may not be his. I have to say that the SAP Cloud Platform Blockchain Hyperledger Fabric service(s) are not available to trial account users. Customers have access to these services. I included a note regarding this in the text. good news! SAP Cloud Platform Blockchain Hyperledger Fabric is now available on the trial account! I updated the note in the text accordingly. I improved the article with more details on environment variable requirements and some minor changes. Can you please make the project downloadable ? I am unable to make it functional (got scp-cf dependencies issues). I added the imports to the classes shown in the post for now. I am exploring how I can publish the complete project source. thank you for the feedback! I fixed the description of the Fabric-service creation – which should nowadays not be done via binding but in the Service instances screens of the space the application was deployed in. Request you to please let me know how can i access and enable Multichain service. I dont find it now in my cloud foundry trial account. are you on Canary by any chance? On Canary, the hyperledger-fabric service is not accessible at the moment. 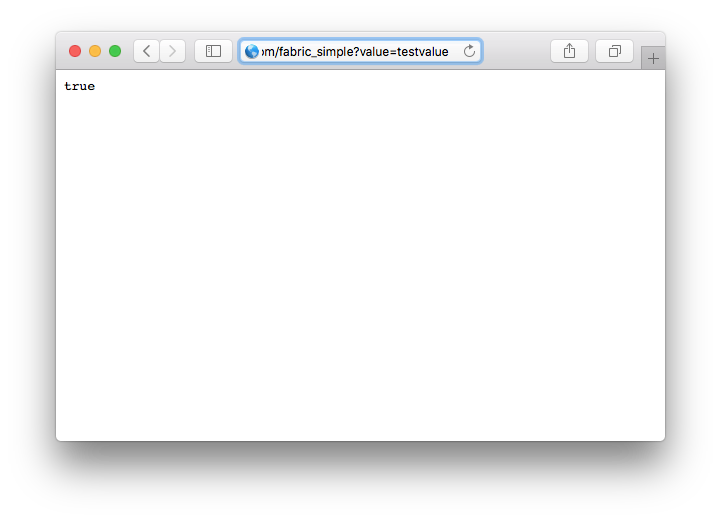 Otherwise, if you type cf marketplace on your command line, the service should be listed. The Multichain service is only accessible after purchase through your Account Executive. It is not part of the SAP Cloud Platform trial offering. in Hyperledger Fabric I can generate “events” during invocation of chaincode and later I can register an application to event hub in order to get those events. Is it possible to implement this logic in the Baas of Sap? there is an event hub related to the service instance? I can only recommend you to watch out for that feature – I also think it is important. I saw internal coding but I can make no promises about this. is not accessible. Can you confirm the availability of this endpoint for trial account? it should be available – although I didn’t get a chance to use it yet. Please check if you are using the latest version of the Hyperledger Service on https://account.hanatrial.ondemand.com/cockpit/#/home/trialhome -> click Cloud Foundry Trial -> then Entitlements on the left. Try Edit, it might reveal a new Fabric service name. This is more due to name changes than anything else. I am sorry for the inconvenience. Thanks for your post. it explains the concepts very well. However I am getting the following error even after setting ALLOW_MOCKED_AUTH_HEADER true. Error: Authorization token request failed: Failed to determine cache key. Caused by: com.sap.cloud.sdk.cloudplatform.security.exception.TokenRequestFailedException: Failed to determine cache key. It works now. I just bound XSUAA instance to the App and it works as expected.